This Spotted Turtle was photographed by Joel Wooster in DeLand, Volusia County, Florida on 8/19/2006. The illustrated specimen, among several others, was collected near Sanford, Seminole County, Florida. Juveniles of the species are apparently coveted by some turtle enthusiasts and fetch a high price. 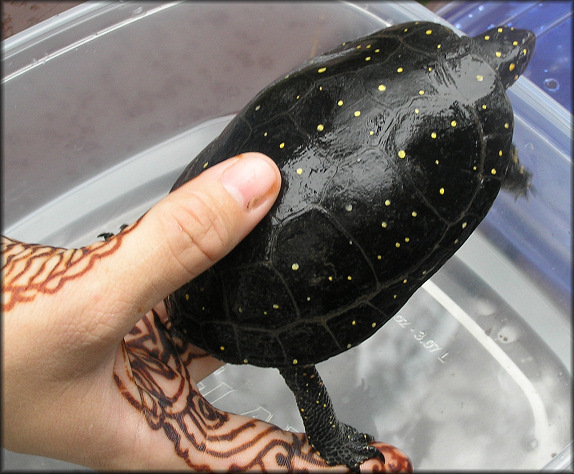 The "hand tattoo" of the young lady holding the specimen, recently obtained during a visit to India, is not permanent.